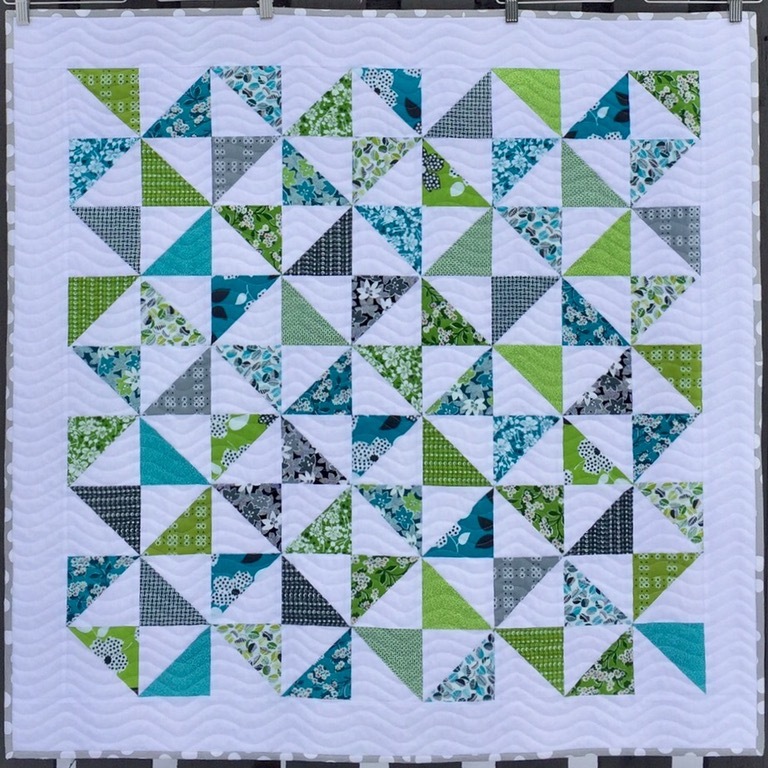 This little quilt is named after the charm pack that started it. I’m quite pleased with the quilting on this one. Here’s a peek at the backing and binding. Yes, snow has returned to Michigan. Yuck! 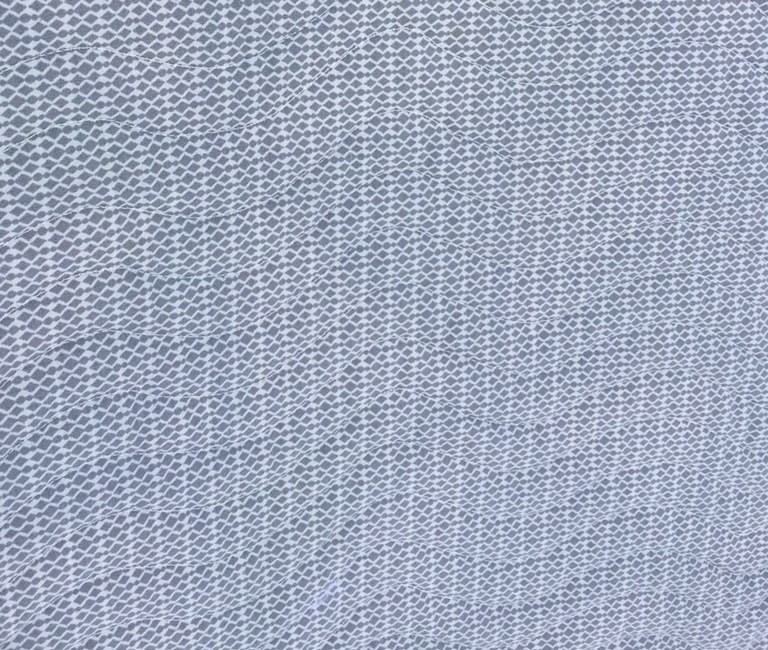 It has caused all my pictures to have a blue cast to them. This will be donated to our local Habitat for Humanity Quilt Show/Silent Auction coming up in April. I’ll be donating this mini that I finished in January as well. I sure hope this snow leaves soon. This entry was posted in Baby Quilts, Finishes. Bookmark the permalink. It’s beautiful. Great finish. Spring is here! At least on the calendar. Just need Mother Nature to get on board. But I am grateful for the extra daylight. 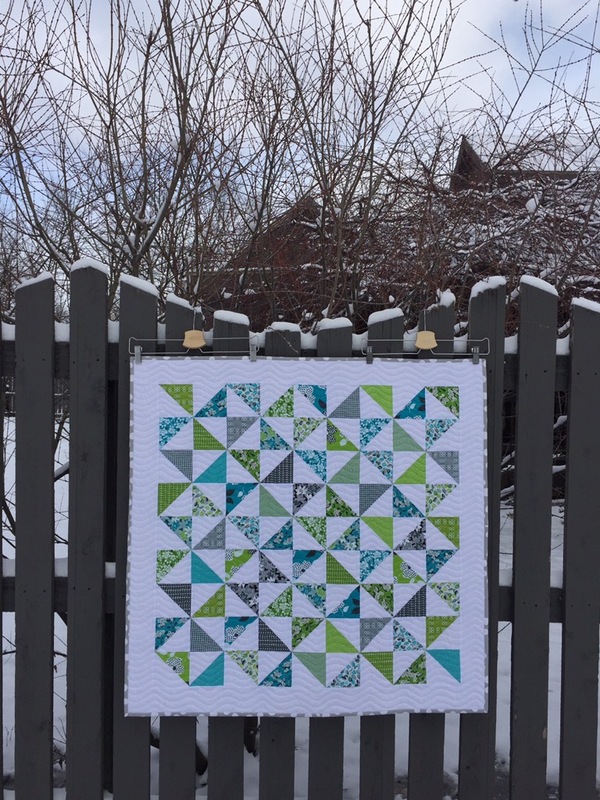 This is a gorgeous quilt and lovely quilting! Your Marmalade quilt is just lovely! I love both your quilts!! A lovely quilt, your colours are so pretty! And doesn’t it look wonderful outside in the snow, great photo! Absolutely gorgeous! Now I need to find that fabric! The best thing about snow in Michigan in March is that it leaves!!! Hang in there–spring is coming. 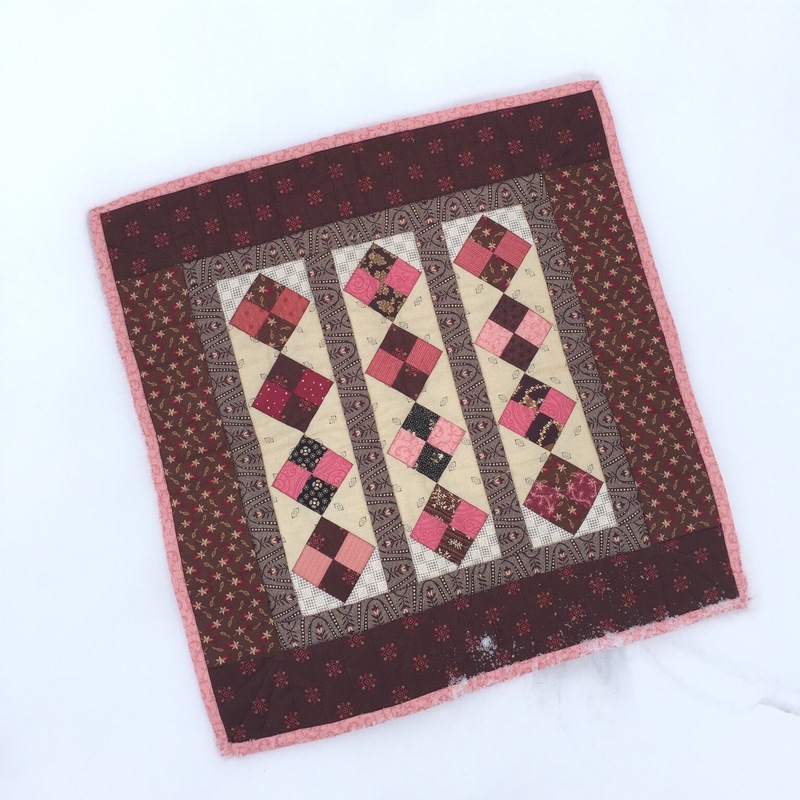 These quilts are both fabulous additions to the auction. Love that fabulous wavy quilting. And I especially love that mini quilt. Yum! Wish I were going to the auction. Good luck with it. I love them both, Katy, and SUCH a worthy cause. Bless you for all you do to help others. What a lovely finish!! Beautiful colors, and they do alright with the blue tint! 😉 Gorgeous! I love the colors in your Marmalade quilt. They’re my faves! The quilting is fabulous too. Thanks for linking up to TGIFF! This is a beauty! The colors are gorgeous! 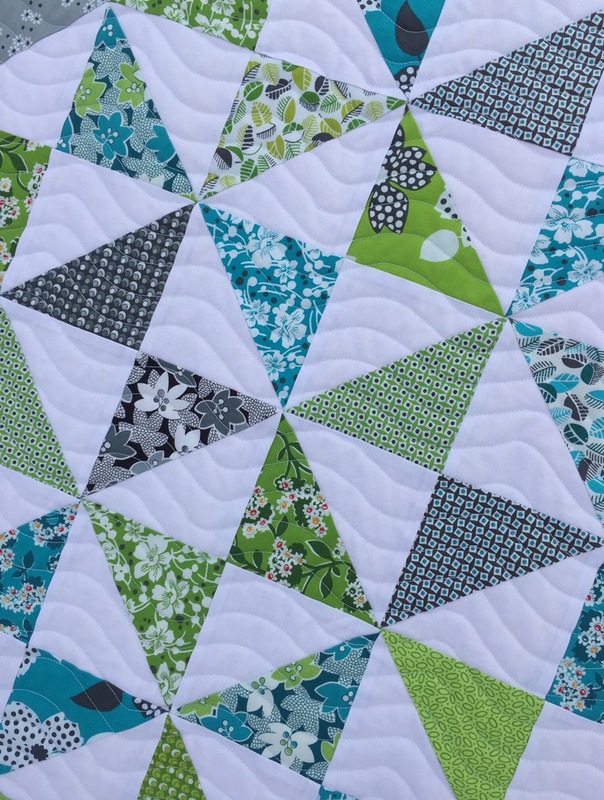 Love the wavy quilting on this one. Along with the colors, it gives a nautical vibe to the quilt. 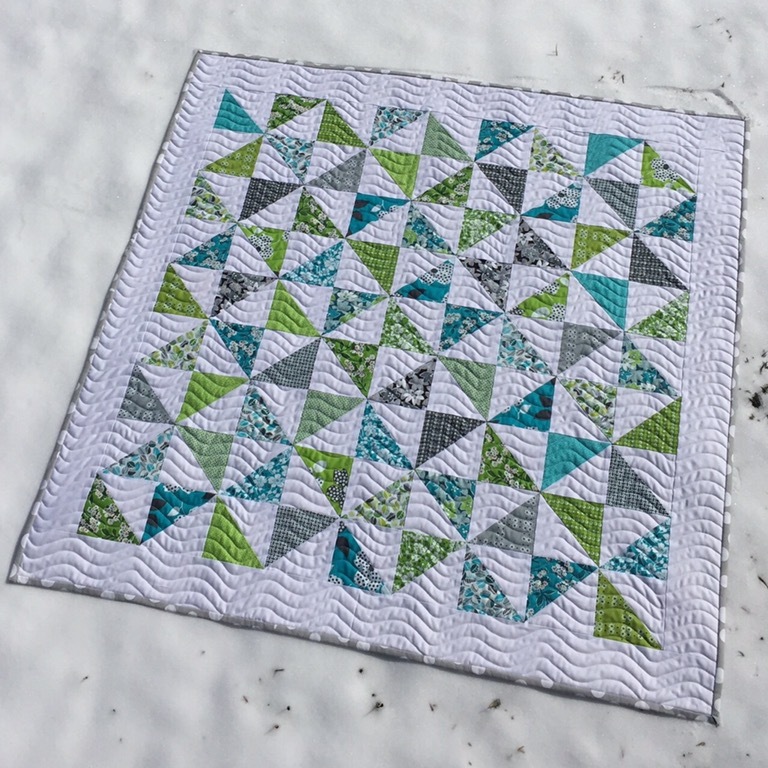 Beautiful little quilt and I love the waves ! I love the colors in ‘marmalade!’ Both quilts are beautiful and will be greatly appreciated, I sure. Very pretty quilt. She looks so clean and crisp with the white background fabric. That looks wonderful. The colours are gorgeous. 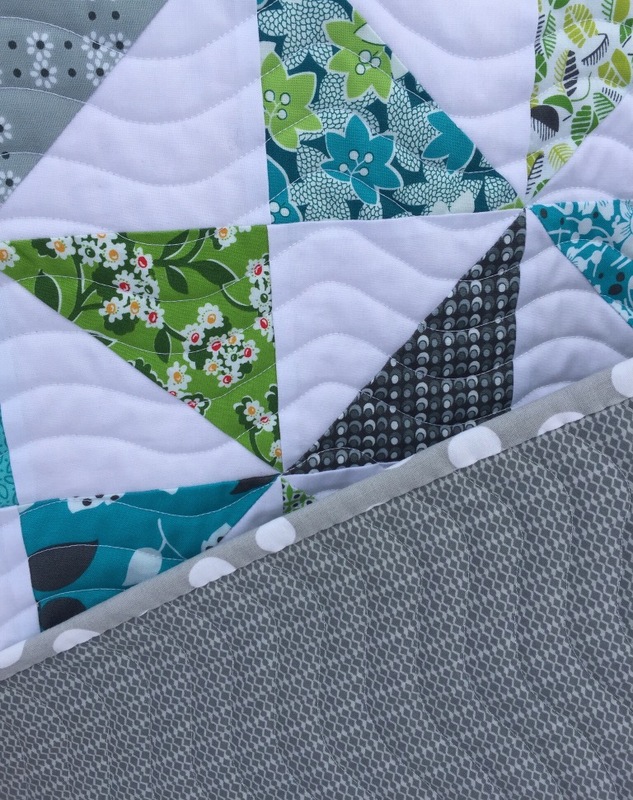 Is the quilting on a long arm with a computer type pattern? I do free-motion on a domestic machine and would really like to be able to do a wave like that without having to draw/mark it all up. Very pretty with perfect points. Love the quilting! Beautiful little quilt, so nice of you to donate it.